211 Bernard: Susceptible! Geneviève Castrée! Tonight! 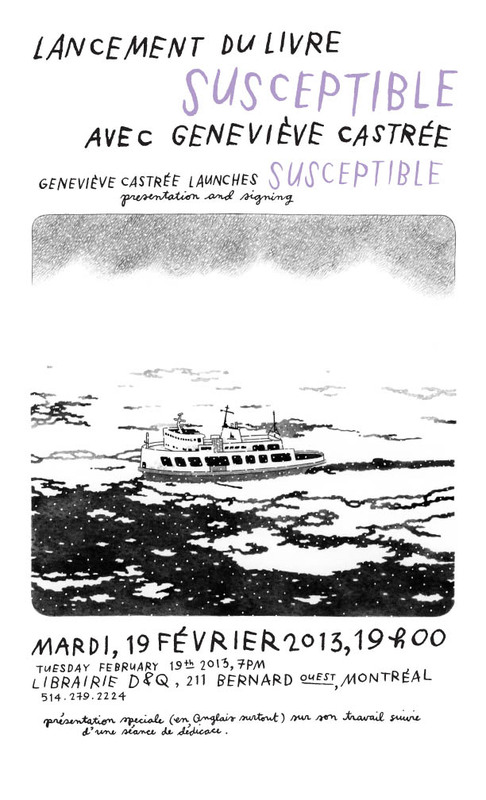 Geneviève Castrée will be giving a short talk (in English) about the process of creating Susceptible and about the semi-autobiographical story itself. This will be followed by a Q&A and book signing. 7 pm, Librairie D+Q, 211 Bernard O. You know what to do!